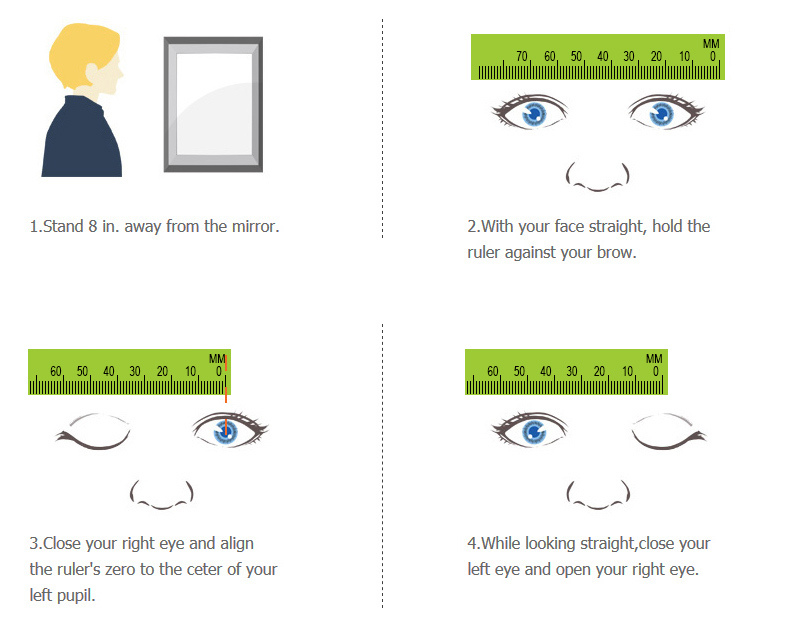 Home › Help Center › How To measure pupillary distance(PD)by yourself. You have found the pair of glasses that fit perfectly on you, but you just don't know your pupillary distance.With this information, you can easily measure your PD from anywhere and anyplace at anytime. Every pair of prescription lenses has an "optical center" which is determined by PD and helps people see clearly. Your prescription may tell your PD.But if the PD is not available,use your friend or a mirror to help you figure it out. 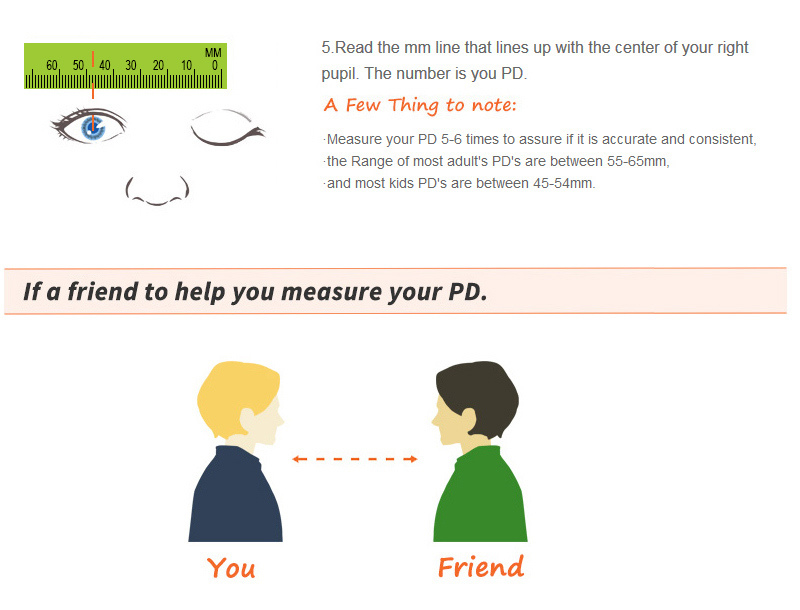 If you friend is helping you measure your PD, you will need to keep both of your eyes open and have your other friend put the zero on the millimeter ruler over the center of one pupil, and then measure the distance to the center of the other pupil. Have them crouch sit while you stand so they are out of your field of vision. keep your eyes as still as possible. Look above his/her head at something approximately 10-20 ft.away. Do not look at the person measuring! With your PD in one hand and your prescription in another you can save time and money by handling all of your optical needs at FinestGlasses.